Ever had the embarrassing moment that you felt quite helpless even with collections of BD movies at hand? Have you ever been tempted by the ads telling you to buy a portable BD player which would cost you quite a lot of money to help you solve this problem? You may say “Come on!” and “I’ve got Iphone and Ipad at hand, and those hi-tech devices to play movies, why should I pay extra money to buy a BD player. That’s ridiculous!” That really makes sense. Let’s find a simple solution to solve this problem. 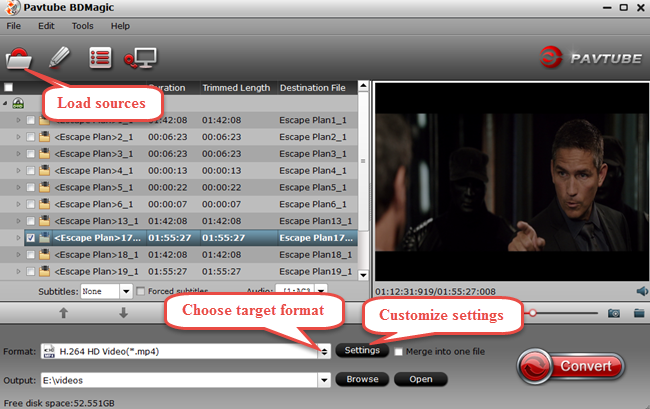 What about backup BD movies to your Ipad or other devices? Then you are available to watch your BD movies wherever you go and wherever you are. A wise idea! Here I’m going to introduce you two popular tools to backup your BD movies to your Ipad or other common devices: Pavtube BDMagic & Handbrake. Pavtube BDMagic is a professional solution to convert BDs/DVDs to any video and audio format for your enjoyment and entertainment. 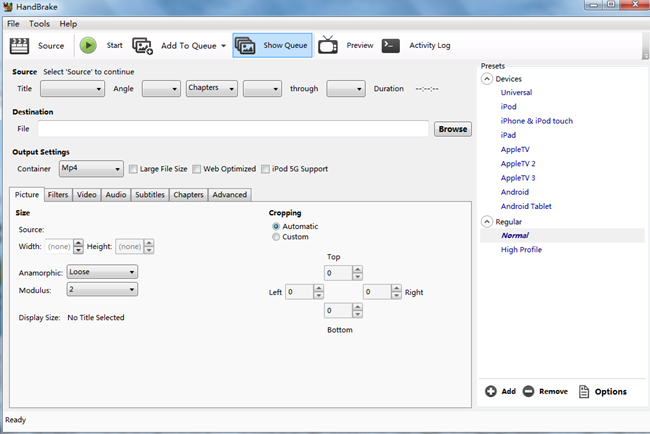 Handbrake is an open and free product that able to convert common multimedia files and BD/DVD sources without copy protection to the common video formats of MKV and MP4. Take a look at their features to see which one is worthy of your choice. Pavtube BDMagic and Handbrake has something in common. However, there are still many places that handbrake cann’t catch up with Pavtube BDMagic. In addition to those common BD/DVD sources and files that handbrake can process, Pavtube BDMagic is also capable to convert BD/DVD files and sources with copy protection. Both Pavtube BDMagic and Handbrake can make operation and adjustment towards the converted video with their built-in editors. 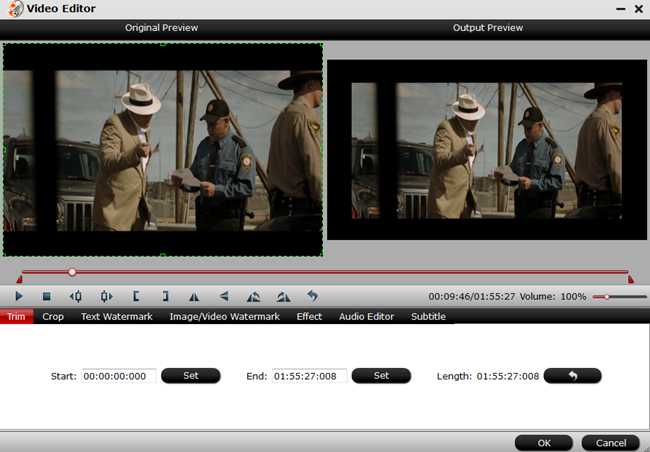 However, Pavtube BDMagic has richer editing functions such as trimming video clips, cropping black bars, etc. Failure to convert every source to some certain format is really a critical defect of Handbrake. Well, Pavtube BDMagic can deal with all those sources with copy protection. Though many popular devices can play videos in MKV and MP4 format, sure you’re not pleased with it. 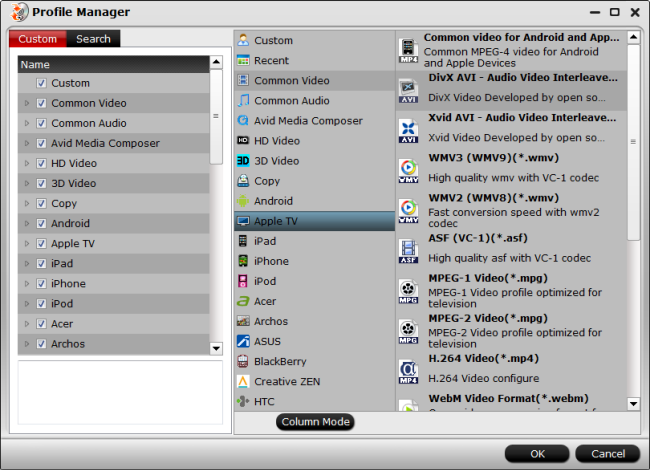 Pavtube BDMagic can play videos in any format and music in any audio format. Pavtube BDMagic can copy the entire BD/DVD disc content to your computer hard drive with its original structure and all audio/subtitle tracks and chapter markers preserved. In addition to its full disk copy, it can also save 100% intact BD M2TS/DVD VOB movies without extras, which is called directly copy. With Pavtube BDMagic at hand, you are allowed to watch videos with powerful 3D effect. Wanna take one of the video images as your desk background? Then have a try of snapshot. Acceleration technology of NVIDIA CUDA and AMD APP is also supported. Want to get a 50% off disount for all Pavtube BDMagic, just join our Black Friday & Cyber Monday Crazy Promotion and more surprises are waiting for you. Pavtube DVDAid vs AnyDVD – As an experienced user of some popular DVD rippers in the market, here I’d like to make detailed reviews of 2 best solutions to watching dvds with copy protection for your reference. Pavtube ByteCopy vs MakeMKV – Have you ever been disappointed at the output movies with poor quality in picture, sound and chapter information after using some certain conversion tool? Handbrake can only output MKV/MP4. I think it is the biggest limitation. Comparsion with it, BDMagic has wide range of output formats and devices. Besides, it even can export the new format H.265 and M3U8. I think it’s great. I like that the software has simplified the ripping process into easy procedures. It’s great that we also have option to rip the Blu-ray ISO to playable videos. Seems like a very good software and a must buy for those who likes to watch the video anywhere and anytime. Like me!